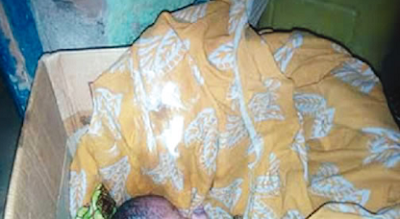 Residents of Wannune-Buruku Road in Makurdi, Benue State woke up on Saturday morning to the cries of an infant which was kept in a carton and abandoned by its mother. The baby was believed to have been left overnight beside St. Michael Clinic, Wannune. A resident of the area, who identified himself simply as Sam, explained that the baby was taken to a police station in the area. “The baby must have been kept close to the clinic by the mother in the hope that the medical personnel may pick it up and take it to the police station. I can’t fathom why a girl would have a child and then dump it, it’s incredible,” he stated. Punch correspondent learnt that dumping of babies in the Wannune neighbourhood by teenage mothers has been on the rise in recent times. It was gathered that a set of twins were discovered by residents of the area some weeks ago, apparently dumped by their mother. The police could not be reached for comment on the development as the state police spokesman, ASP Joel Musa, did not respond to calls to his phone.